Our vacation retreat is located in the town of Emigrant in the Paradise Valley. We are 55 minutes from the Bozeman Yellowstone International Airport. We are 30 minutes from the northern entrance to Yellowstone National Park at Mammoth Hot Springs. We have spectacular mountain views and three acres of common ground. We are minutes away from Chico Hot Springs Resort and Day Spa, where you can enjoy the hot springs pools, fine dining, a day spa and entertainment. We are 25 minutes from Livingston with gourmet restaurants, community theater, movie theaters, art galleries and unique shops. Come enjoy world-class trout fishing, big game hunting, skiing, horseback riding and river rafting on the Yellowstone River. 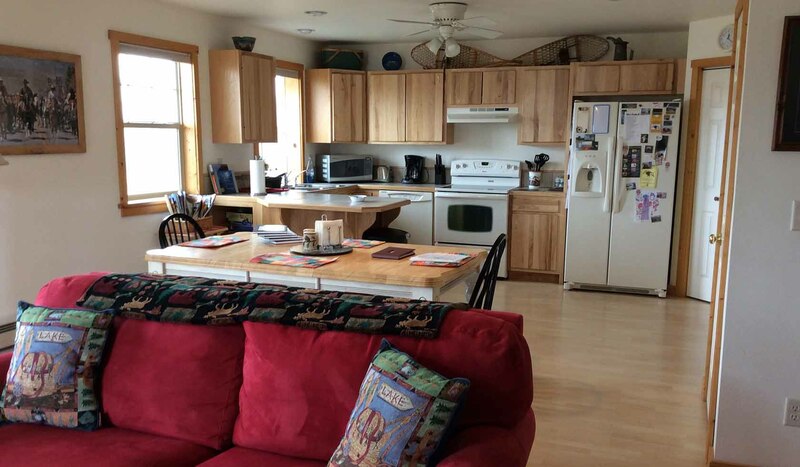 Our vacation home is nicely furnished and the full kitchen is fully stocked. We have two bedrooms on the second floor with queen size beds, and one twin, dressers, large closets, pillows, blankets, down comforters, etc. In the living room we have queen size and full size comfort sleeper sofas. There is a full bathroom in the master bedroom on the second floor and a full bathroom/laundry room on the main floor. We provide sheets and towels. We also provide paper goods to begin your trip.